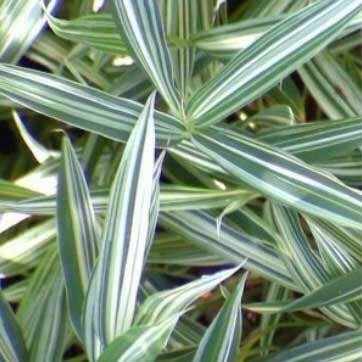 This dwarf bamboo grows about 80 cm tall and features bold white-on-green variegated leaves. It can be used to make a very attractive planter for the terrace or in the garden as groundcover. It will grow in shady areas and is very low maintenance, just clip over in spring to promote extra fresh growth.